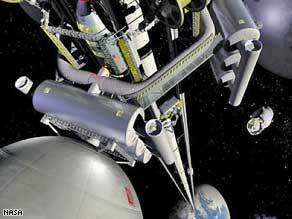 You are here: Home / epp6 stuff / Space Elevator? Really? Sometimes you just can’t make things up. I saw this link on CNN earlier and thought there was no way it was a real story but indeed it is. A new space race. Build an elevator into space. http://epp6.com/wp-content/uploads/2013/09/logo.png 0 0 Drew Epperley http://epp6.com/wp-content/uploads/2013/09/logo.png Drew Epperley2008-10-03 19:03:492010-01-16 08:13:21Space Elevator? Really?